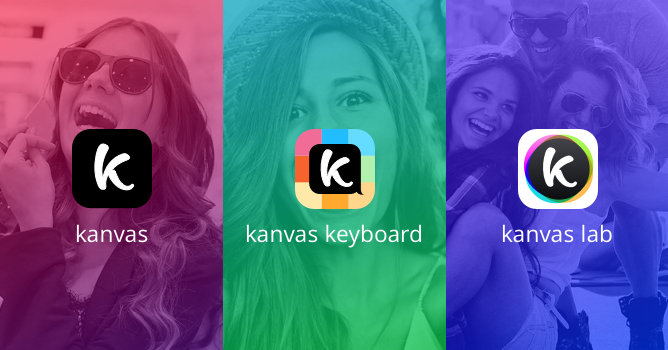 Kanvas is a video photo editing app from Kanvas Labs that allows you to put various visual elements on your images, and even lets you pull trending images on popular image sites like Tumblr, Instagram and Flickr. If you like to express yourself with images and animated GIFs and share them, this app will suit you. Choose the photo you want to edit and add an element, whether it’s lines, shapes, borders, text, and there are also lots of fonts and colors as well as styles. You can adjust the size of the element you chose, and tapping the button at the left allows you to move the element and place it at the back or in front of other elements. Kanvas also lets you make several frames off a single image, a .gif in other words. These frames can be different or have just slight changes, and it’s a cool way to create stop animation or use the images to narrate a story using various elements. The app also lets you make a copy of the first frame, so you can keep the original intact and make some modifications on the others. Once you are done editing you can share it on social media or use Kanvas itself as it’s also got an Explore option where you can see the creations of other Kanvas users and follow them. Bottom line: Kanvas is a versatile editing app that offers more your typical editor, and the photo sharing capabilities is the icing on the cake.